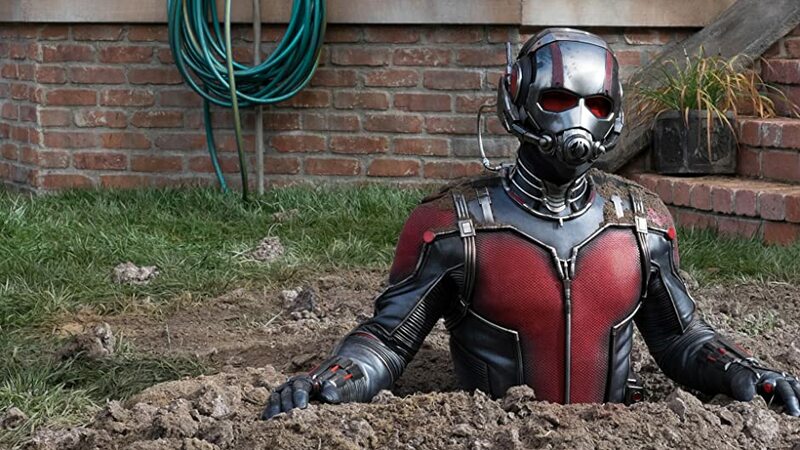 The titular Ant-Man and the Wasp appear together fully suited up in a new photo, but for more eagle-eyed Marvel fans, it also offers a glimpse at the newly rebuilt Pym Technologies. Released Tuesday morning by Marvel, the new image shows our first look at Evangeline Lily’s Hope van Dyne completely suited up as the Wasp. She’s standing alongside Paul Rudd’s Scott Lang in a new version of the Ant-Man suit. 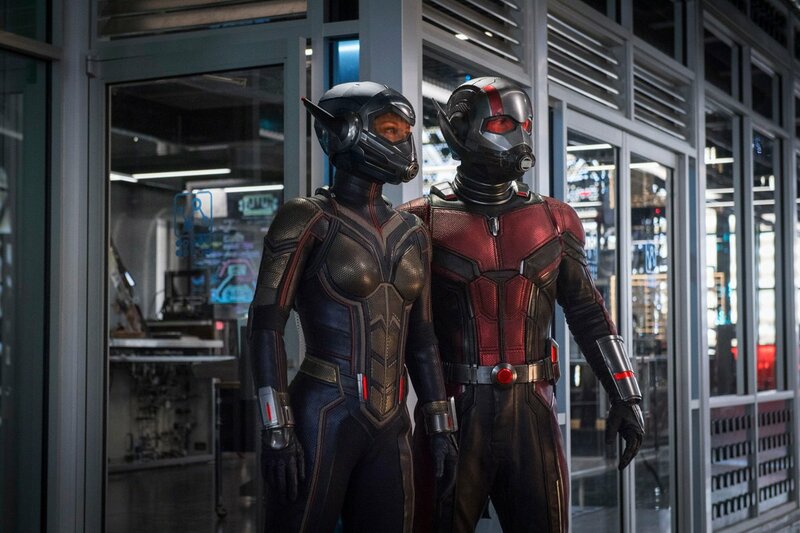 Not only is this new the first time we’ve seen these two shrinkable heroes suited up together, but it’s the first look we get of Hope with her Wasp helmet on. In the image released by actress Evangeline Lily in August, the helmet was missing. We don’t know a whole lot about when or where the Ant-Man sequel takes place beyond “the aftermath of Captain America: Civil War,” but the recent image offers a new setting that might be where Ant-Man and the Wasp train to become a team. Ant-Man and the Wasp fully suited up. Based on the logo on a glass door behind them, we can safely assume they’re inside a Pym Technologies lab. You can see on the glass door behind them — on the left side — a blue logo and some unreadable text. The logo itself is a 2D rendering of a molecular structure, and it’s absolutely the logo that Hank Pym used for Pym Technologies. Fans might remember that in the first Ant-Man, Darren Cross forced Pym out of his own company and rebranded it as Cross Technologies. But by the end of the film, Team Ant-Man destroyed the whole building. Apparently, the original Ant-Man — Hank Pym — must have come out of retirement to literally and figuratively rebuild his company. His newfound curiosity about the Quantum Realm must have fueled that. This Ant-Man sequel will be the first Marvel film to release after Avengers: Infinity War, but the official synopsis mentions “the aftermath of Captain America: Civil War,” which probably means this takes place around the same time as Spider-Man: Homecoming instead. We also know that Evangeline Lily won’t appear in an Avengers movie until the currently untitled Avengers 4, making Ant-Man and the Wasp the Wasp’s origin story. We'll probably never see this helmet again. Will we learn more about how Pym Technologies was rebuilt and whether or not the Quantum Realm might impact Thanos’ assault on Earth in an emerging Marvel multiverse? Probably. For all we know, Ant-Man’s quantum realm could make all the difference in the fight against the Mad Titan. Ant-Man and the Wasp is slated for release July 6, 2018. If you liked this article, check out this video a real-life Iron Man suit.